As much as I would like to say that I am proud of this site, it is not mine. This would be the first time that I have reported on any site. This is not counting my countless “Source” that I generally put at the end of every post. So why am I starting to report on another site? Simple. I write for Smartwatch Reviews. I wrote for other sites in the past that I have listed here, such as Coolest Gadgets and some that aren’t even online anymore. This one is exclusively about smartwatches, something that I have written about before. 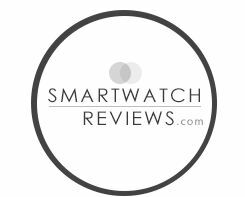 Considering that I have flipped in my reviews of smartwatches, I am pleased to devote a blog to them. I once thought they were unnecessary, but after reviewing the Galaxy Gear, I can see a definite use for them. It is definitely a growing market, and I will be exploring as I write on it. Be sure to subscribe to its RSS, just like you have mine.